John Calvert is an associate professor in the Faculty of Health Sciences at Simon Fraser University where he teaches public policy. During the 1990s, he worked in the provincial government’s Crown Corporations Secretariat, the central government agency overseeing BC Hydro. He also served on the Integrated Electricity Planning Committee of BC Hydro during 2004-05. He is the author of a number of books, including Liquid Gold: Energy Privatization in British Columbia (2007). He has a PhD from the London School of Economics. Marjorie Griffin Cohen is an economist who is a professor of Political Science as well as a professor of Gender, Sexuality and Women’s Studies at Simon Fraser University. She has written in the areas of public policy and political economy with special emphasis on issues concerning electricity and energy deregulation, labour, women, international trade agreements, and the Canadian economy. Her most recent books are Public Policy for Women (University of Toronto Press) and Remapping Gender in the New Global Order (Routledge). Professor Cohen has served on several boards and commissions, including the Board of Directors of BC Hydro, the Board of Directors of BC Power Exchange, and the Board of Directors of NewGrade Energy in Saskatchewan. Cole Harris is an emeritus professor of geography at the University of British Columbia and the author of many books and articles on early Canada, among them The Reluctant Land: Society, Space, and Environment in Canada before Confederation (2008) and Making Native Space: Colonialism, Resistance, and Reserves in British Columbia (2002), both published by UBC Press. Duff Sutherland teaches history in the School of University Arts and Sciences at Selkirk College. He has published articles and reviews in Labour/Le Travail, Newfoundland Studies, and BC Studies. Among his teaching areas are the First Nations of Canada and the West Kootenay. He is working on a people’s history of the West Kootenay. Myler Wilkinson is co-founder of the Mir Centre for Peace at Selkirk College as well as director of the Centre for Russian and North American Studies. He has published several books on Russian and North American cultures, including: Hemingway and Turgenev: The Nature of Literary Influence; The Dark Mirror: American Literary Response to Russia; and Russian Journal: A Personal Memoir. 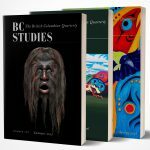 He is co-editor, with David Stouck, of two books on the cultural and literary history of British Columbia: West by Northwest: BC Short Stories and Genius of Place: Writing about British Columbia. The work published here represents an ongoing commitment to histories embedded in place – most specifically, the lives of people at the confluence of the Kootenay and Columbia rivers. Ron Verzuh is a writer and historian currently working on his doctoral dissertation in history at Simon Fraser University. His topic: labour and social relations in Trail, British Columbia, from 1935 to 1955. He is a retired national communications director for the Canadian Union of Public Employees and author of three books, several monographs, and numerous articles.